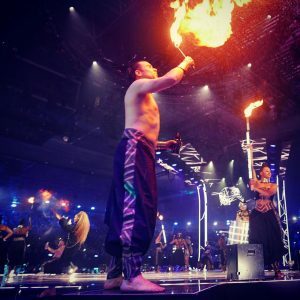 As experts in high quality, highly safe and extremely professional live performance and stunts, we are often called on to provide speciality performance and props to very special events. 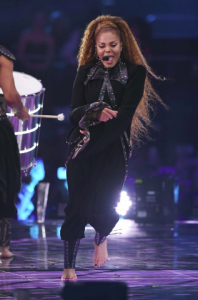 Last weekend we were delighted to provide a particularly dangerous performance and some very bespoke props to this year’s Global Icon Award winner at MTV Awards in Bilbao – megastar Janet Jackson. 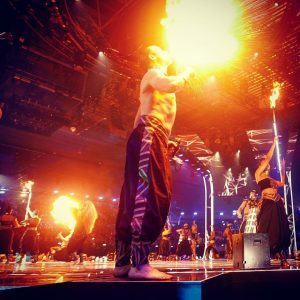 We recruited, rehearsed and managed 4 fire breathers, as well as designing and building 8 LED-lit drums for the performance in under a week. We’ve previously provided specialist artists and props to Take That, Katy Perry, Muse and Mika, and are currently touring Europe with Holiday on Ice as part of their 75th anniversary tour with some of the world’s leading swinging trapeze artists. Clients come to us because we combine creativity and ever-expanding networks of artists, designers, makers and technicians with an impeccable safety track record and huge experience of rock and roll touring, live TV and special events. Images courtesy of Neil Sweeney.